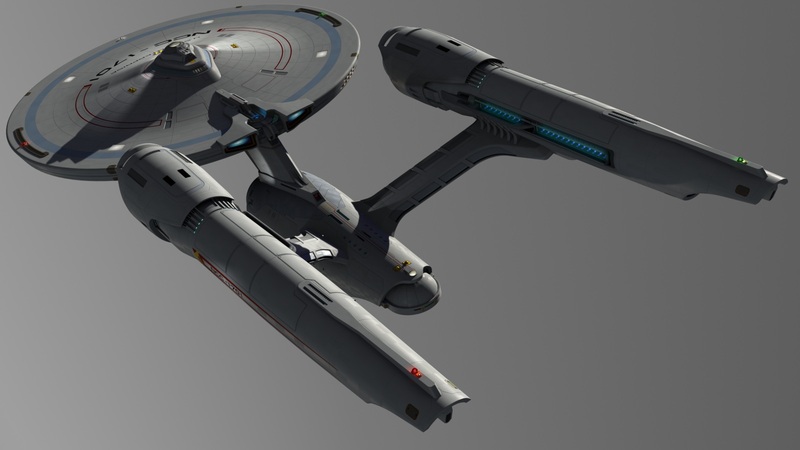 I've been asked to do another tutorial on building Nacelles. And I have been thinking on ways to do this for you guys, and I have decided that I might try two seperate builds at the same time. Build One will focus mostly on kit-bashing - something near and dear to my heart. Build Two will focus on more traditional scratch-building, using raw materials. Build Three will focus on ponys and rainbows and glitter glue!!! Wait, What??? No Build Three! OK then. Well. This is awkward. What the hell am I gonna do with all this glitter glue? Now I begin on adding the new outer plate. I've pre curved the styrene to make the work easier. I've also glued just the beginning and left it to dry (as I'm writing this post). Once dry, It'll be easier for me to continue the wrap around/gluing process. Now, as most of you may know, I'm not that big a fan of the TOS era. I loved the show but not a lot of love for the ships of that era. This is changing, first the Bonaventure, recently the Ares, and now this one! WOW!!! I love to watch an artist at work. Tonight I'm gonna try to get the bussard shield done, then I'll start working on the aft end. I gotta shave off those 'pipes', putty and sand the fantail groves smothe and extend the fantail a bit. Sorry for no progress lately guys, I had to say goodbye to a dear friend of 15 years. My cat, Chester, was suffering from stage 4 kidney disease. He stopped eating and drinking on Sunday, I had him put to sleep on Tuesday, he lost over half his weight over the last two months and the last few days he was no longer getting around easily. It was time to ease his suffering. It's weird not having my lap cat, my orange shadow, my bathroom buddy around anymore. I miss him dearly as do my wife and kids. Its been a rough year. My Condolences Rogue Wolf- I've been through more than a few faithful kitty companions. May your lap mate find himself a good kitty heaven spot to enjoy. I feel for you, lost mine when had to move a few months ago... No cats in where I was staying, and others were "allergic"
It hurts to even think about it somedays... Worst part is I don't even know if she got adopted "or not".